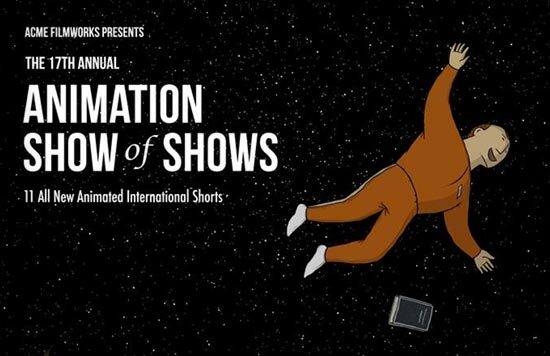 “The Animation Show of Shows” has been an annual event in which animators from all over the world participate in a collection of animated shorts, which is them shown at school and studios across the nation. Now, this year’s edition of “The Animation Show of Shows” will make its way onto the silver screen for the very first time by debuting in theaters! This year’s collection marks the 17th version of “The Animation Show of Shows” since the collection’s debut in 1998, and features 11 animated shorts from artists from Ireland, France, Russia, Switzerland, Australia, Iran, and the United States. This annual gathering of international art, curated Acme Filmworks founder Ron Diamond, has been dedicated to spreading the word on unique, small-scale solo animators and teams, and hopes to inspire and enrich both professionals as well as the everyday spectator seeing animated shorts like these for the very first time. “The Animation Show of Shows” begins its big-screen debut on September 24th, airing for a week at the Arclight Cinema in Hollywood, California. It will then take to the road across October and November, showing off the film in select theaters across the nation. To find out more about future screenings of the Animation Show, as well as previous iterations of this annual collection, check out their official website here!